Reservations are encouraged to ensure you have a wonderful Antoine’s dining experience. Walk-ins are welcome subject to table availability. If you have a party of 20 or more, or would like a private dining room, please call (504) 581-4422 or complete the contact form. The dress code is business casual – collared shirts are required for gentlemen, jackets preferred but not required, no flip-flops, t-shirts, or athletic shorts are permitted. The dress code will be enforced at the manager’s discretion. It is Antoine’s Restaurant’s policy to provide only one guest check for any table or party. We are happy to accept multiple forms of payment for any individual guest check. However, we will not issue separate or individually itemized checks. 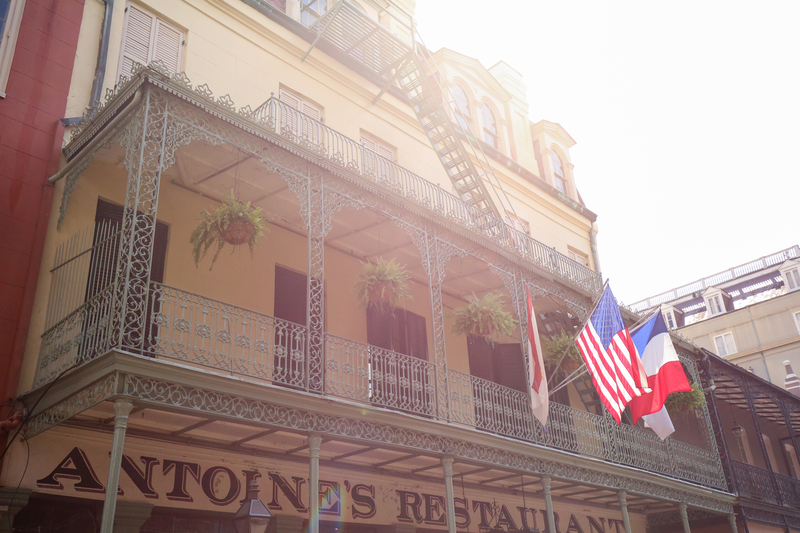 ESTABLISHED IN 1840, ANTOINE’S IS THE COUNTRY’S OLDEST FAMILY-RUN RESTAURANT. It was spring in 1840, when New Orleans was queen city of the Mississippi River, when cotton was king and French gentlemen settled their differences under the oaks with pistols for two and coffee for one. “Dixie” had not yet been written, destined to become the marching anthem for Confederate forces in the War Between the States. 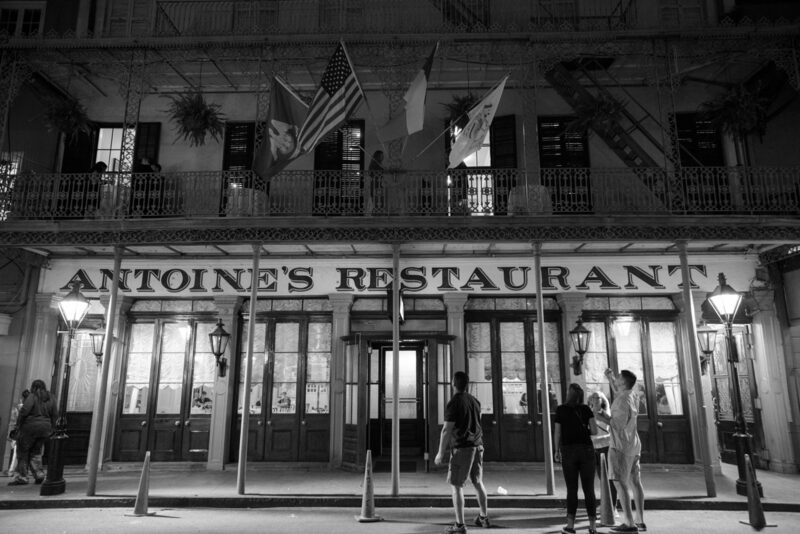 This was the city young Antoine Alciatore adopted, after stopping in New York, to establish a restaurant that would endure under his family’s direction for more than 179 years and set the standard that has made New Orleans one of the great dining centers of the world. 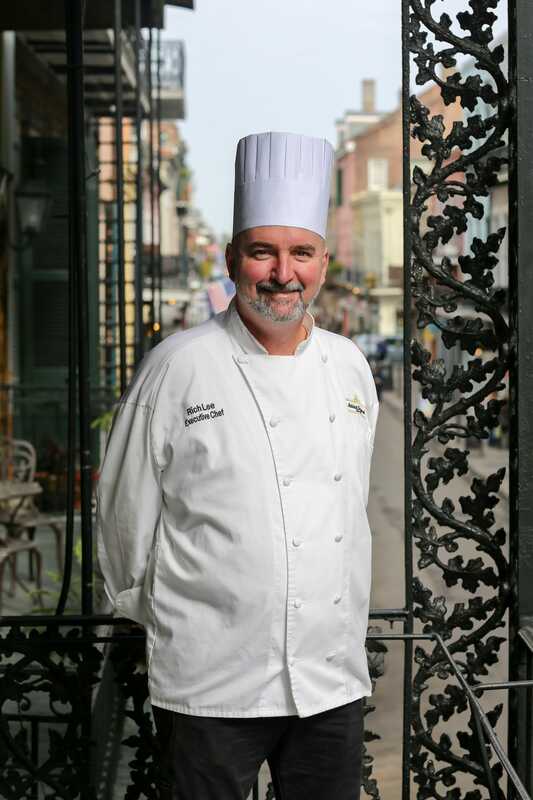 It was on St. Louis Street, just one block from the spot the famed restaurant occupies today, that the 18-year old Alciatore started what was to become simply “Antoine’s” as a synonym for fine food. He felt at home in the French-speaking city of lordly aristocrats and their extravagances, an ideal audience for his culinary artistry. 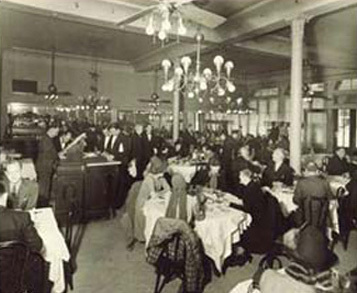 After a brief period in the kitchen of the grand St. Charles Hotel, Antoine opened a pension, a boarding house and restaurant. It was then that he made arrangements for his fiancée’ to join him from New York. She came to New Orleans with her sister and she and Antoine were married. Together they worked to build up their pension with culinary emphasis. New Orleans’ gentility was so taken with the restaurant that it soon outgrew its small quarters and Antoine’s moved down the block and eventually, in 1868, to the spot on St. Louis Street where the restaurant stands today. In 1874, Antoine being in ill-heath, took leave of his family, with the management of the restaurant in his wife’s hands. He felt he had not much longer to live and wished to die and be buried in his birthplace in France. He told his wife he did not want her to watch him deteriorate and said as he left; “As I take boat for Marseilles, we will not meet again on earth.” He died within the year. After Antoine’s death, his son Jules served as apprentice under his mother’s tutelage for six years before she sent him to France where he served in the great kitchens of Paris, Strassburg and Marseilles. He returned to New Orleans and became chef of the famous Pickwick Club in 1887 before his mother summoned him to head the house of Antoine. His genius was in the kitchen where he invented Oysters Rockefeller, so named for the richness of the sauce. They remain one of the great culinary creations of all time and that recipe remains a closely-guarded Antoine’s secret, though it has been imitated countless times. Jules married Althea Roy, daughter of a planter in Youngsville in southwest Louisiana. Jules and Althea had three children: Roy, Jules and Mary Louise. Roy followed in his father’s footsteps and headed the restaurant for almost 40 years until his death in 1972. 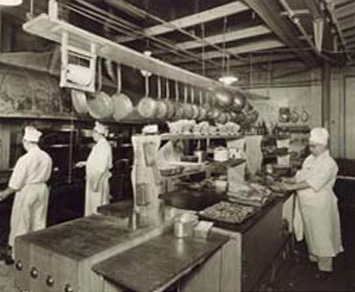 Roy Alciatore managed the restaurant through some of the nation’s most difficult times, including the Prohibition era and World War II. His contributions still remain vibrant today. The 1840 Room, a replica of a fashionable private dining room, still contains the great silver duck press and is a museum of curios treasures including a cookbook published in Paris in 1659. 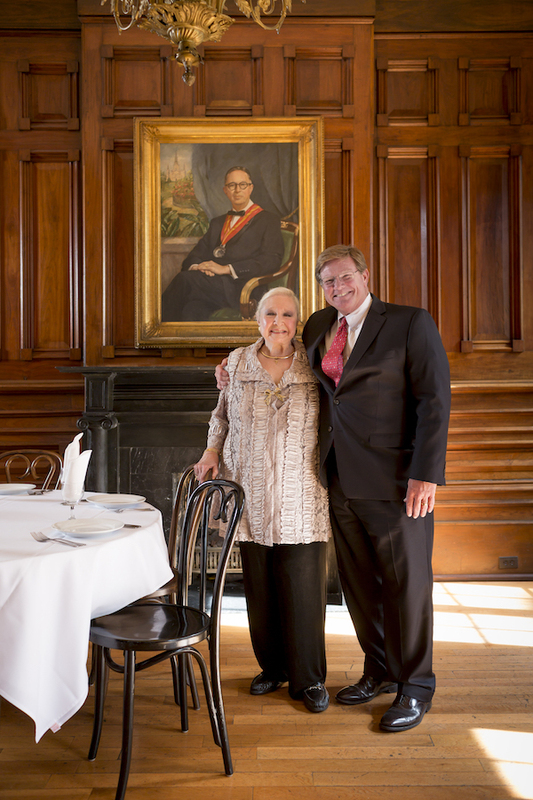 Marie Louise married William Guste; and their sons, William Jr., former attorney general of Louisiana, and Roy Sr., became the fourth generation of the family to head the restaurant. In 1975, Roy’s son, Roy Jr., became proprietor and served until 1984. He was followed by William’s son, Bernard “Randy” Guste who managed Antoine’s until 2004. In 2005, Rick Blount, Roy Alciatore’s grandson became proprietor and CEO. The long line of the Alciatore family members and descendants has guided Antoine’s to continued greatness, through the War Between the States, two World Wars, Prohibition, the Great Depression and Hurricane Katrina. Countless celebrities have dined in Antoine’s dining rooms. Lining the walls are photographs of the rich and famous who have feasted amid the splendor … musicians, politicians, military personnel, sports figures, royalty … the list is endless. It includes George Bush, Bill Clinton, Franklin Roosevelt, Pope John Paul II, Brad Pitt, Bruce Willis, Tom Cruise, Kate Hudson, Jimmy Buffet, Whoopi Goldberg, Bob Hope, and Bing Crosby to name just a few! What’s in store in the years ahead? Are there other family members, perhaps too small at the moment to wield a chef’s whisk, waiting to join that long and distinguished line?